thanks for this nice piece of Software. This reference 831FDD16-0C5C-11D2-A9FC-0000F8754DA1 I didn't find in my .vbp-file. I've solved this with a reference to MSCOMCTL.ocx. 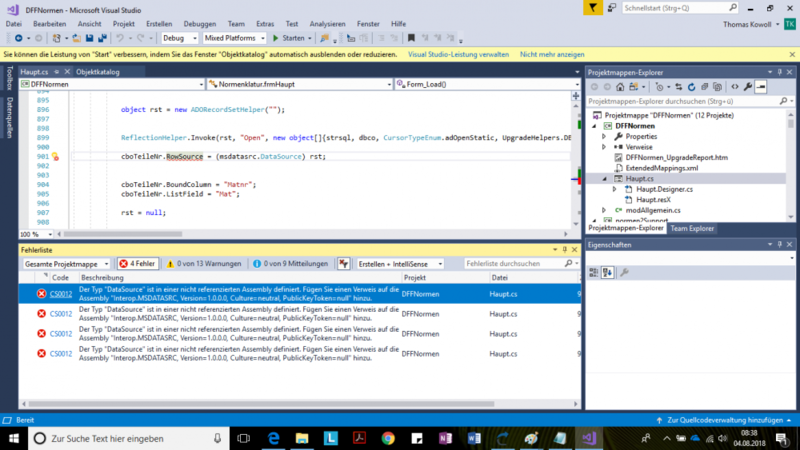 But after the start of visual studio 2017 I got a problem with the references as you see in the last screenshot. Error Description: The type "DataSource" isn't defined in one of the referenced assemblies. Add a reference on the assembly "Interop.MSDATASRC", Version 1.0.0.0, Culture=neutral, PublicKeyToken=null"
This reference is already set (see on the right side). The problem is located on the data-comboboxes. In screenshots 3 and 4, there are two issues that have to be solved manually. 1. The first is related to MSComDlg objects. In vb6 there exist only one single dialog object with several functionalities: print dialog, color dialog, open file dialog, etc. In .Net there are specific dialog objects according to their functionality. For instance, there is a openfile dialog, print dialog, etc. 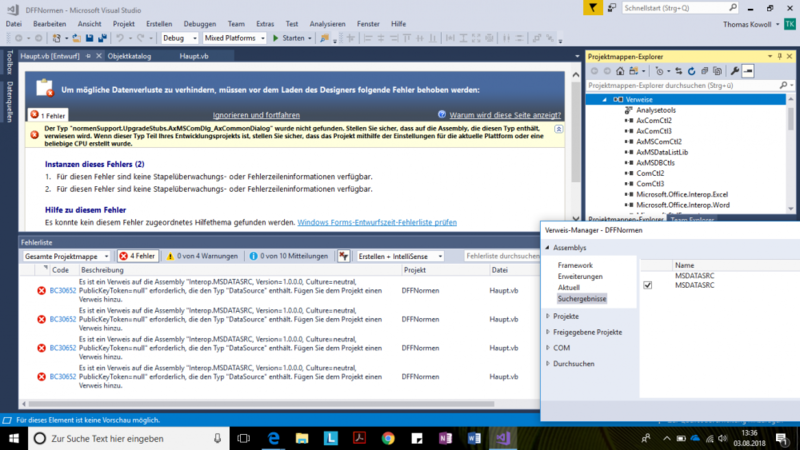 The VBUC tool converts every MSComDlg object into their respective equivalences in .Net, so if you find a single MSComDlg object in your VB6 form, the upgraded form in .Net would have as many .Net dialog objects as functioanlities detected in the original application. 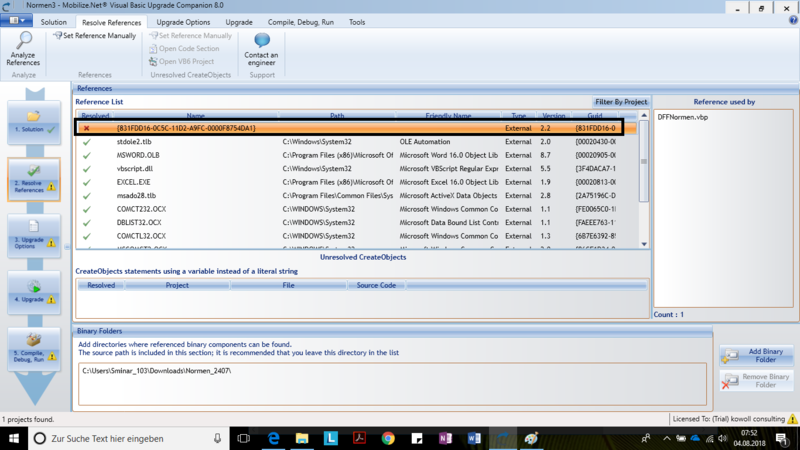 However, for non upgraded library elements of the original MSComDlg , it will create a stub class called UpgradeStubs.AXMsComDlg_AXCommonDialog. This stub class may reference enums or types defined in the MSComDlg Activex component. 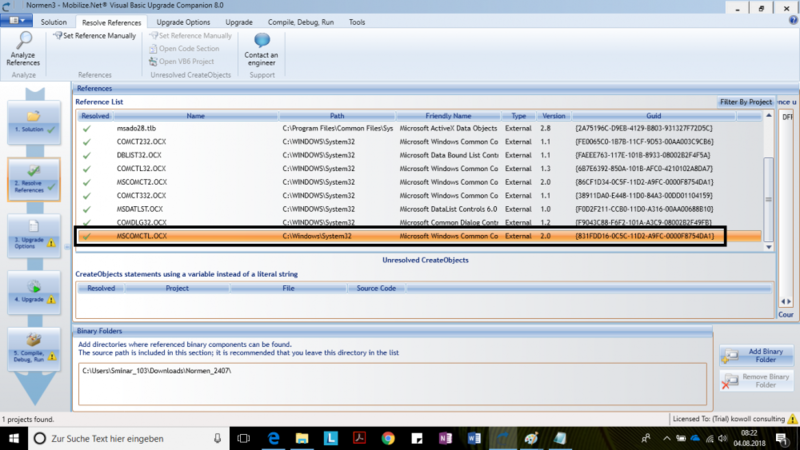 b. Verify what are the nn-upgraded elements for the UpgradeStubs.AXMsComDlg_AXCommonDialog instance created in that form and replace them by .Net functionality. a. 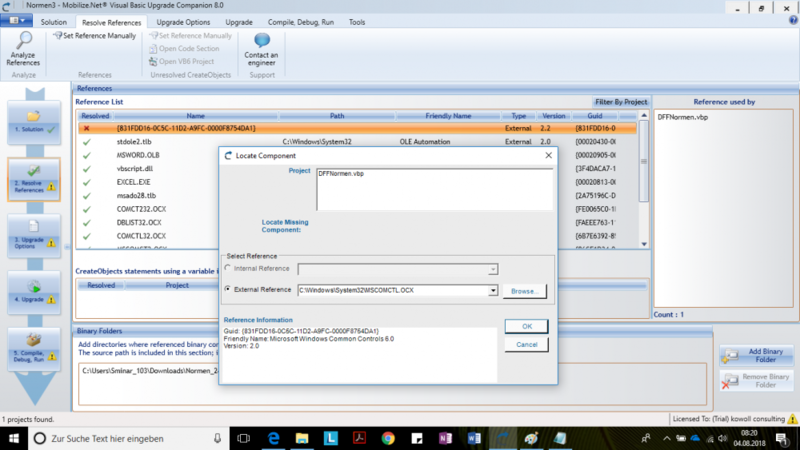 Include a reference to the MSComDlg object and then perform (a). 2. In regards with the second issue (screenshot 4), the error is generated because rst that is declared as object and in runtime it's created as ADORecordsetHelper (implementation of a .Net DataSet) is being cast to msdatasrc.DataSource and that casting is incorrect because msdatasrc .DataSource is an unmanaged type while ADORecordsetHelper is a .Net type. What is the datatype for cboTeileNr? I looks like it's an Activex object.